As our members roll out IPv6 on our Cloud Platform, I thought it would be a good idea to share some of our findings that will help make jumping into the IPv6 universe easier for you. Hopefully, this saves you some time and effort in your IPv6 deployment. Most people deploying IPv6 are using dual-stack implementations – meaning they have IPv4 and IPv6 running and allowing traffic on both types of network addresses. We assume you’re already familiar with IPv4 and are now looking to start using IPv6. The General Data Protection Regulation (GDPR) was introduced on 25th May 2018. Its purpose is to enhance the data rights of individuals and enforce several obligations upon institutions that manage and process data. GDPR compliance has a wide-reaching scope which is likely to affect many businesses throughout the world. Traditionally, web development and hosting were done primarily using the LAMP stack – LAMP being short for Linux (operating system), Apache (web server), MySQL (database), and PHP (programming language), the core components which were then used to run enterprise sites. As web stacks and load balancers become more agile, and as business needs dictate better performance and stability, it is becoming increasingly common to replace Apache HTTP Server with a lightweight and highly scalable alternative, NGINX. With NGINX, the stack becomes known as LEMP – Linux, (e)NGINX, MySQL, PHP. Is the Cloud a Good Fit to Host Your Augmented Reality Project? When you hear ‘augmented reality,’ you might initially think about the first-down marker that overlays the field on any televised football game. The markers have become so ubiquitous that you almost forget the players can’t see them when they’re diving for the extra yardage. If you’re under 25, ‘augmented reality’ might conjure memories of Pokemon Go instead. But let’s take augmented reality beyond the realm of masses converging on shopping malls and college campuses in search of non-existent pocket monsters, beyond the overlays on a football field, beyond the technology giants like Apple and Google who are bringing augmented reality to our daily lives, and consider the niche players. Plenty of industries, like construction, have the vision to layer an augmented world on top of our own to give architects, engineers and customers a look at what could be before the job is built. You could ask 50 different CEOs why they are moving their businesses to the cloud and get 50 different answers. But one of the biggest reasons we’re seeing so much migration to the cloud is because of the exponential growth in data being gathered, stored and analyzed across the economy as a whole. Most businesses already have complex, dedicated analytic software in place well before they move to the cloud. This analytic software assists employees in making decisions on marketing, advertising, customer retention, supply chains, packing/shipping, warehouse management, delivery routes, human resources and more. 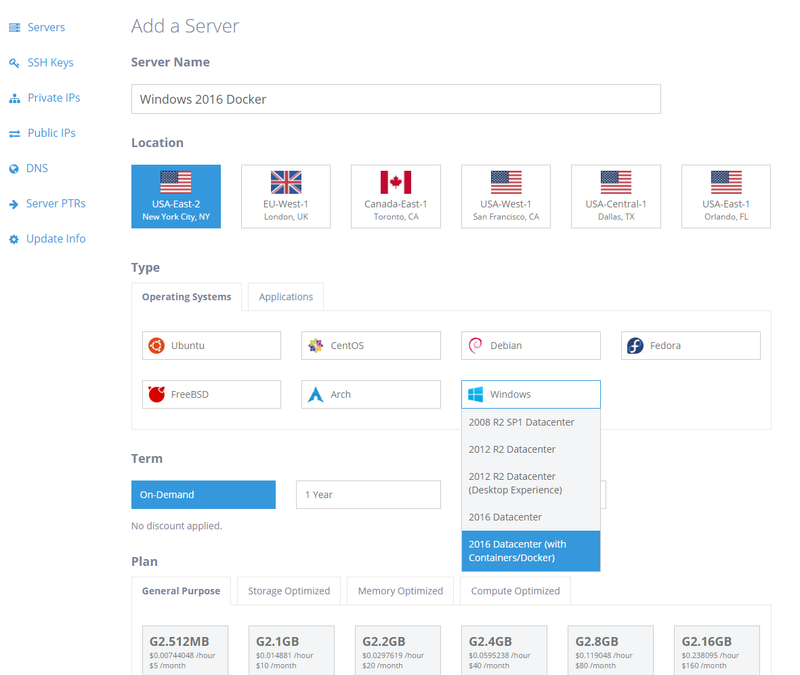 This article is a basic primer on how to use Windows Server 2016 with Containers and Docker on the Atlantic.Net Cloud. Docker popularized containers first on Linux, but now with Windows 2016, Windows containers are now natively supported as well. This means you can build your application in a container and ship it across your development and production environments knowing that it will work and run the exact same way on every device. 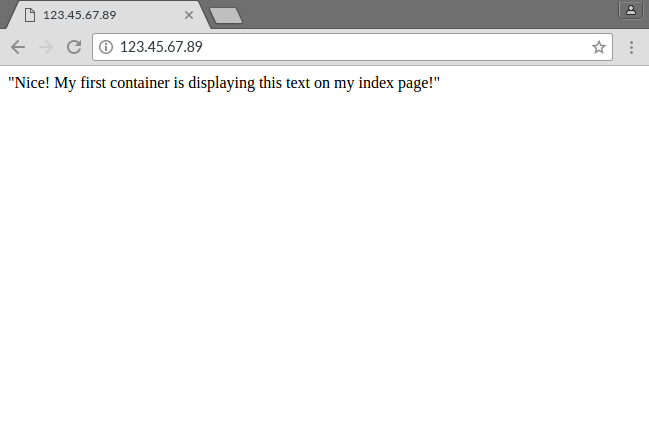 In this tutorial, we will deploy a web page in an IIS container from a Microsoft-distributed IIS container image. Let’s get started with a quick tutorial! First, we need to deploy a new Windows 2016 with Containers server from the Atlantic.Net Cloud. Location: The data center you want your server created in. Term: Do you want month-to-month, on-demand pricing, or do you want a one or three year term commitment for this server? Plan: We recommended at least a G2.2GB plan size for Windows-based servers, due to memory requirements. Enable Backups: Do you want your server backed up by us daily? Click “Create Server” to begin the provisioning of the server. 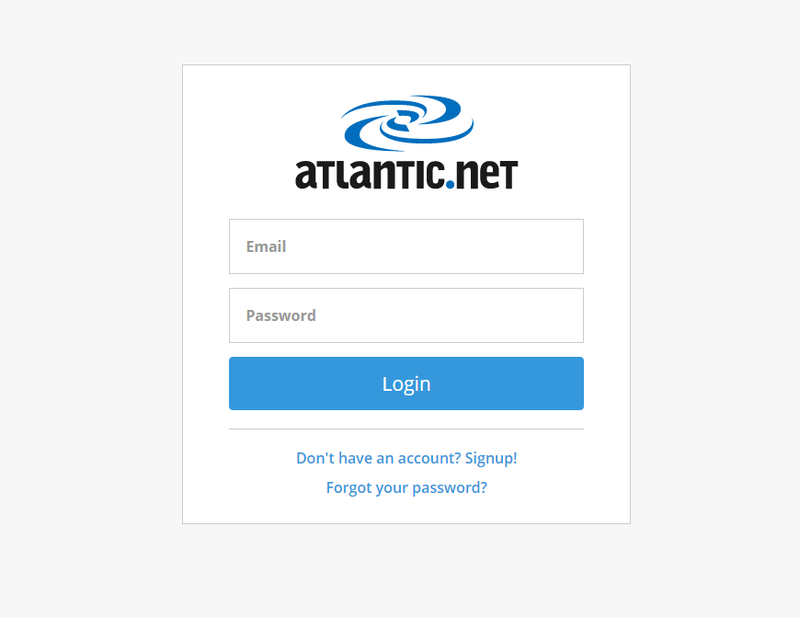 The next page will have your login credentials for the new server displayed. Please save these somewhere so you can use them to log in. Note: The credentials will also be emailed to you. Once the server is done provisioning, you will need to log into Windows 2016. Click here to find out how to remotely log in. Ensure that Docker is actually installed by running the “docker version” command from the Windows command prompt (cmd.exe). The first step is to retrieve the Microsoft distributed IIS container. We could do this with the docker pull command (ie: docker pull microsoft/iis). However, in the interest of simplicity, we can skip this step and go straight to launching our first container. Docker will automatically pull down the necessary image (and any dependent images) if they don’t already exist locally. Ports: You can specify what ports you want open on the server. You do this by binding the internal ports of your container to an external port so it is accessible publicly. In this case, we are binding port 80 (the web port) of the container to port 80 of our Cloud Server with “-p 80:80“. Docker will automatically pull down the necessary image (and any dependent images) if they don’t already exist locally. The above was just a basic tutorial. You can also do interesting things like automating the build of container images using DockerFiles, pushing the images to a centralized repository, and creating redundancy and automatic failover by having multiple nodes setup in a Docker Swarm. Enjoy! What’s the difference between Antivirus and Anti-Malware? Malware and viruses are a major threat to all computer users, especially on the Internet. The two terms are used interchangeably on a day-to-day basis, but are they the same thing? In this article, we will do a brief overview of the difference between malware and viruses, and then explain the difference between antivirus and anti-malware programs. Cloud Backend: The Chief Concern for IoT Standards? The Internet of thing is growing at a breathtaking pace. That means connectivity at both home and work will become more and more complex. As the IoT makes computing increasingly complicated, some say we should be concerned primarily with the backend rather than interoperability. The Internet of things is expanding at a rapid rate as enterprises and vendors are becoming more aware of the possibilities presented by this all-inclusive approach to connectivity. The IoT market was forecast last year by IDC to grow at a whopping 16.9% compound annual growth rate (CAGR) between 2014 and 2020, rising from $655.8 billion to $1.7 trillion. To put that into perspective, it’s nearly as fast as the growth of public cloud, which is predicted by IDC to achieve a 19.4% CAGR between 2015 and 2019; and keep in mind that much of that public cloud growth will actually be because of the growth of IoT. When you spin up a cloud server, a basic and immediate question must be answered first: should you use Windows or Linux? Let’s compare the operating systems, both based on popularity and with a thorough discussion from experts on both sides of the aisle. Which Server OS is Winning? Is Linux or Windows Server Better, Though? Typically, when people think about the two top operating systems, they think of the client-side rivalry between Microsoft’s Windows and Apple’s OSX. However, on the server side, things are a little different: instead of a battle between huge tech corporations, it’s a battle between two tech approaches. Windows Server represents the proprietary side, and Linux represents the open source side. Internet of Things Too Powerful for Cloud? Cloud technology was designed for an Internet of Things world, argues Jamie Carter of TechRadar. The structural approach to computing makes it much easier to achieve interoperability between many different devices and systems, a feature that becomes increasingly complex but nonetheless fundamental as the IoT expands. Cloud has been growing incredibly as businesses have shifted from entirely Windows environments to Mac and mobile, according to CSID chief innovation officer Adam Tyler. He adds that the technology will become even more prevalent as the Internet of Things continues to build.